My sweet tooth found its way to the shiny gates of dessert heaven a few months ago, when I snagged one of 12 coveted seats at the monthly 'Sweet Studio Sessions' held after hours inside the 'Willy Wonka' lab of Burch & Purchese. I think everyone around me knows of my admiration for Darren Purchese and his talented team (see here) and as soon as I heard the words dessert degustation I was sold. The evening begins with 12 diners sitting down to a table strewn with chocolate dust, ladybugs, popcorn rubble and other chocolate treats, just in case five plated desserts is not enough! The courses are cleverly arranged and matched with wines including Veuve Clicquot, Rose and Moscato. Courses begin with a more savoury twist, getting sweeter as the night goes on. 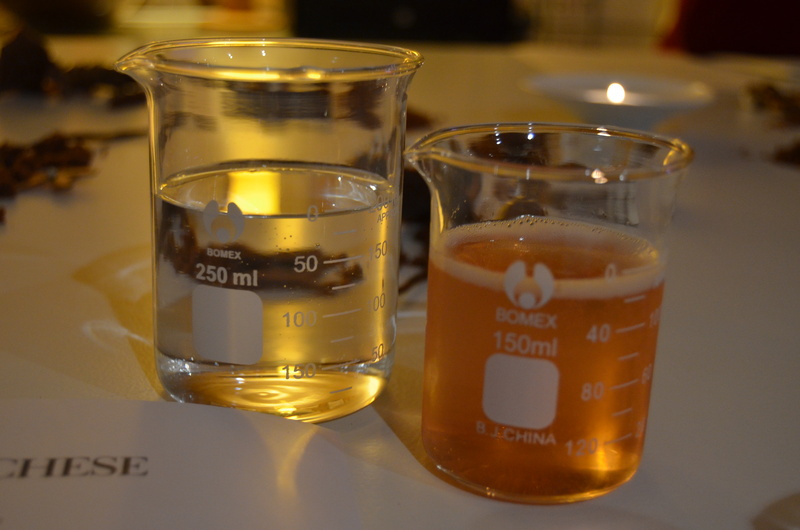 The wines are served in beakers which adds a scientific twist to the evening. First up was a oozy fizzy gin and tonic marshmallow finished with lime curd, gin and tonic jelly and the most delicate juniper bubbles that melted on your tongue. Such a perfect balance of flavours, perfectly matched with Veuve Clicquot and quite simply a party in your mouth! This degustation was off to a cracking start! Next up was the 'cheese course'. What? 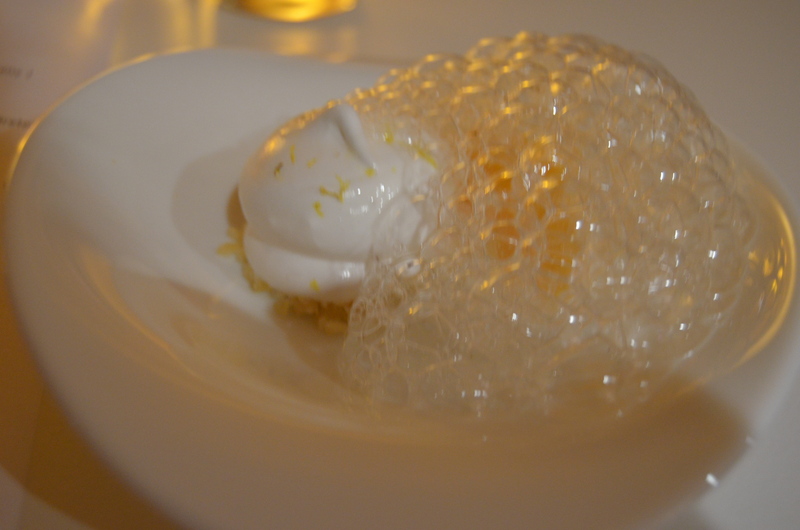 I hear you say...how can a dessert degustation have a cheese course? 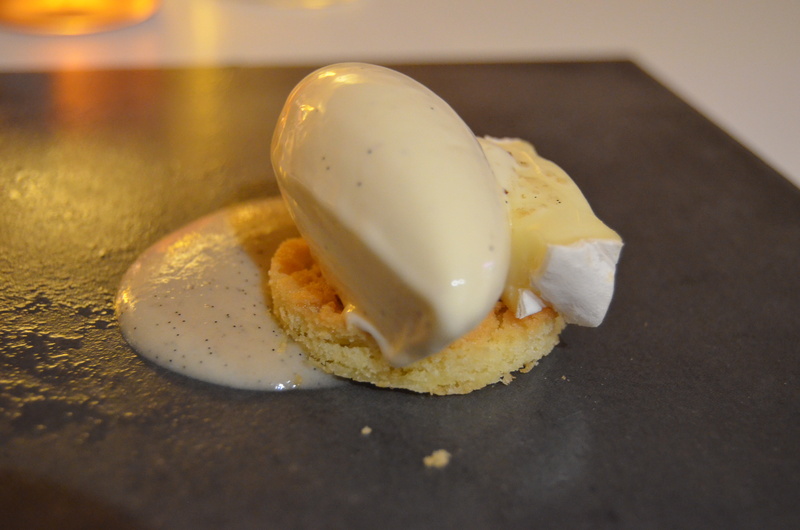 This was cheese with a difference... creamy Brie D'Affinois served with smoked vanilla ice cream, Jerusalem artichoke and vanilla puree and a sable Breton biscuit base. Invention and creativity at its best. The third course was my favourite of the evening, matched with a sweet pink moscato and would make the most amazing dessert tube! (hint hint!) The 'beetroot, apple, yogurt and rose' combined cubed apple, a beetroot flavoured 30 second sponge, crystallised rose petals, rose & yoghurt cream, rose jelly, beetroot sorbet, apple puree, candied olives and apple balsamic. 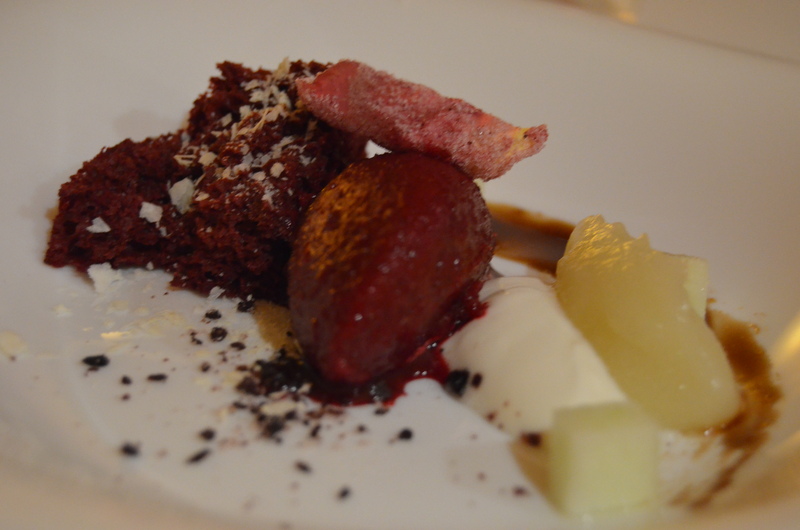 The tartness of the beetroot mixed with the sweetness of the apple and rose made this dish the standout in my eyes. 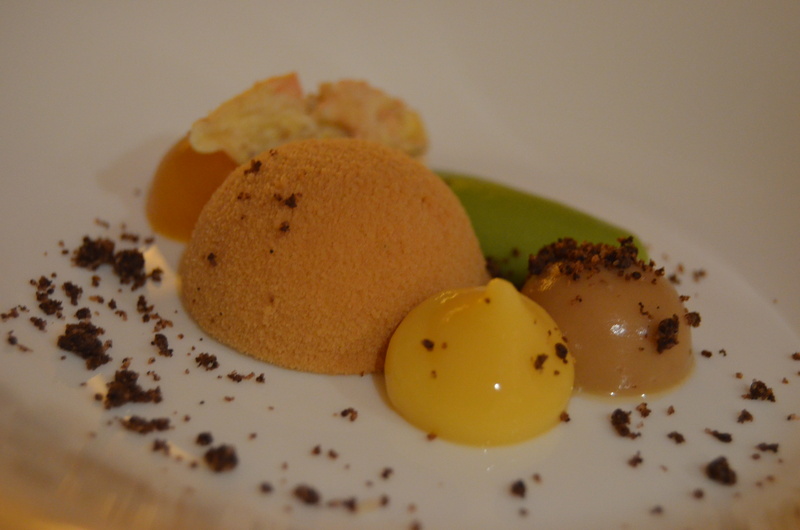 The final two courses showcased chocolate in new and completely different ways. First up was caramelised white chocolate, avocado, banana, passionfruit and coffee. A caramelised white chocolate mousse sphere gave way to a surprising passionfruit liquid centre and sat alongside a dollop of roast banana cream, passionfruit curd, passionfruit jelly and a smear of avocado cream. The dish was finished with a salted coffee crumb. All of these desserts give the most amazing and heightened sensory experience when you combine a little of each element in your mouth. Tangy passionfruit, sweet banana and white chocolate with creamy avocado. To the untrained palate it would seem incongruous and yet it works. The final dish of the evening was a dish inspired by a Master Chef challenge and had an element of Heston with liquid nitrogen billowing from the glass. 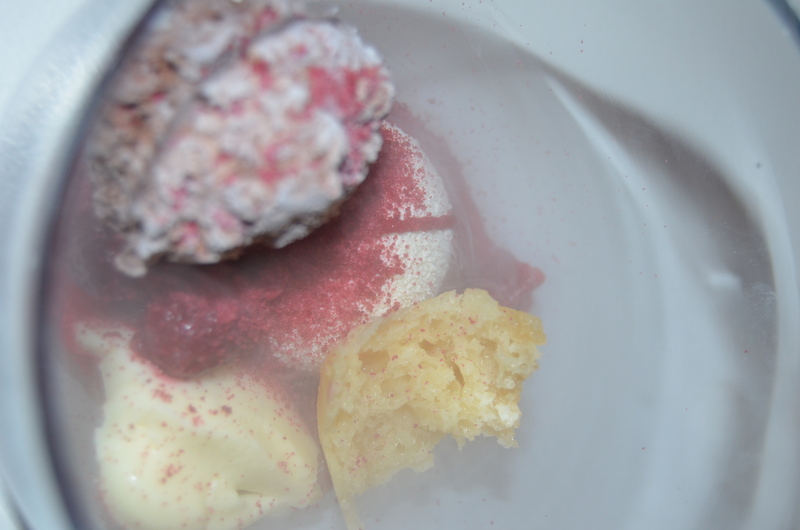 'Rhubarb, raspberry, ginger and dark chocolate' combined a nitro poached, ginger chocolate parfait with tart poached rhubarb, glazed strawberries, zingy ginger cream, a ginger soaked baba biscuit base and raspberry and white chocolate mousse. Darren, Cath and former Master Chef contestant Kylie Millar are all so welcoming and happy to share their knowledge and time. They welcome you into their sweet studio/lab and make you feel at home. These evenings are really something special and I would highly recommend experiencing it for yourself. All dessert sessions are currently sold out for 2013, but keep your eyes out for more sessions in 2014. 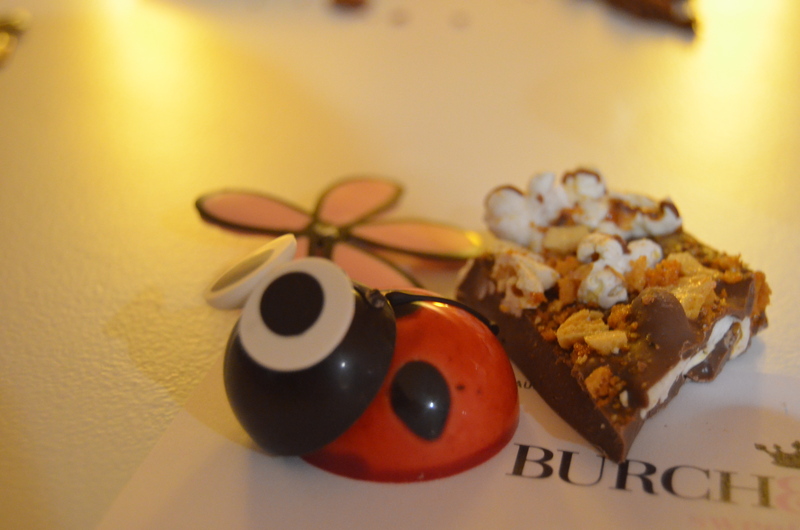 Follow Burch & Purchese on Facebook, Instagram, Pinterest or sign up to their mailing list to find out more.